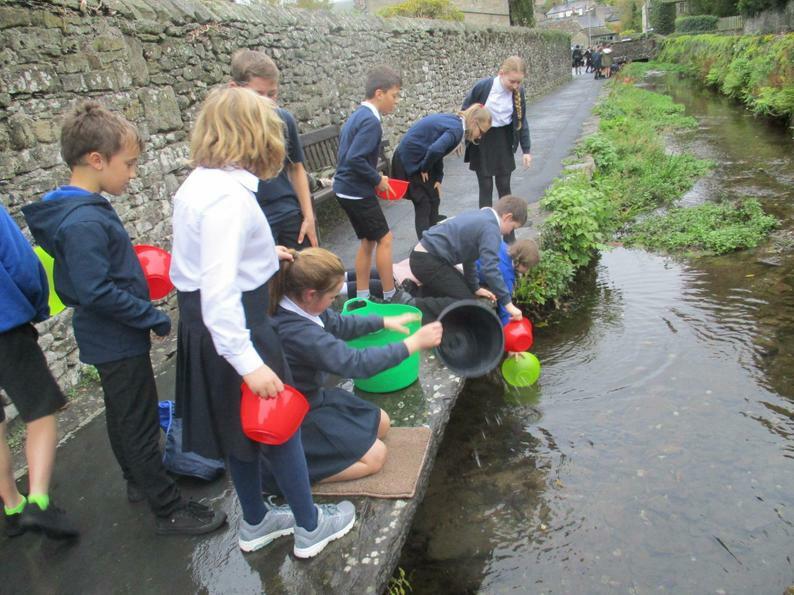 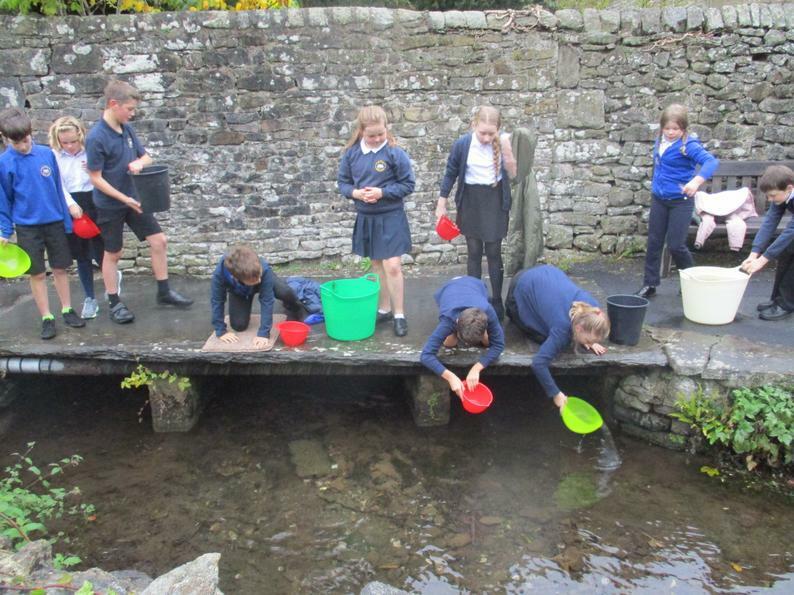 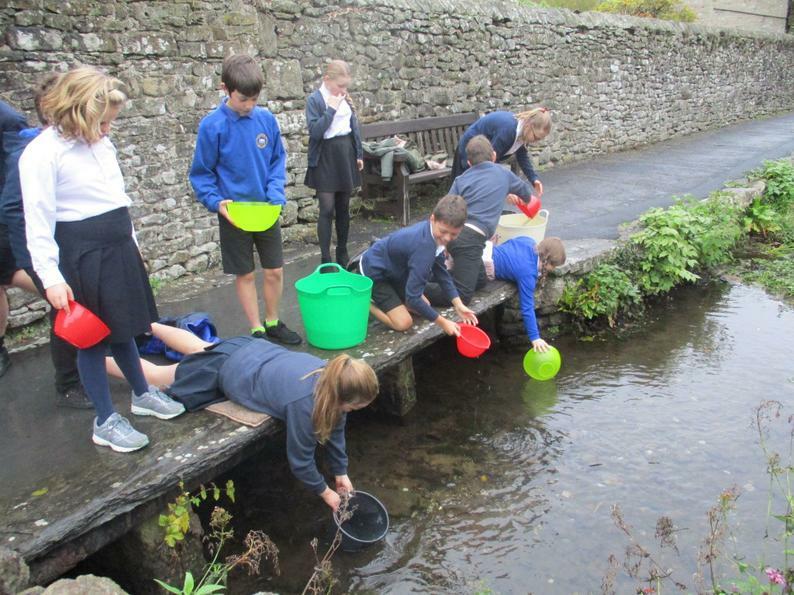 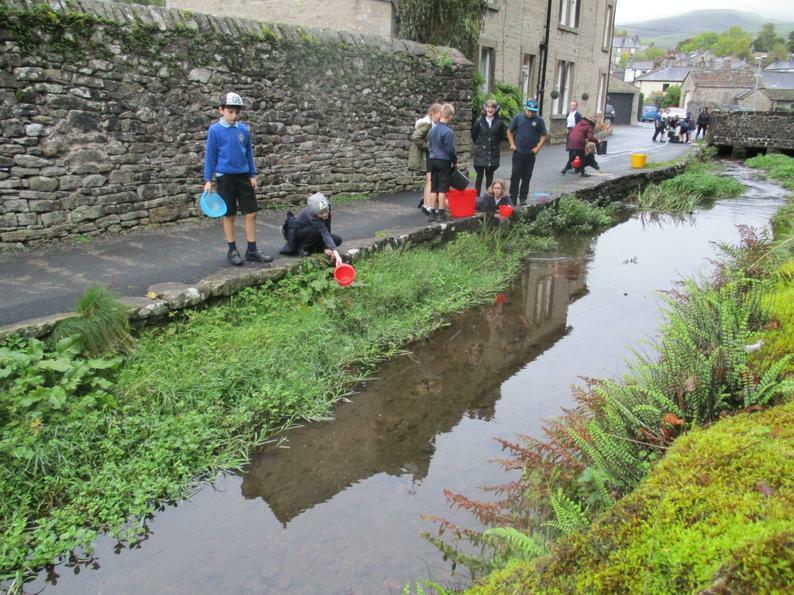 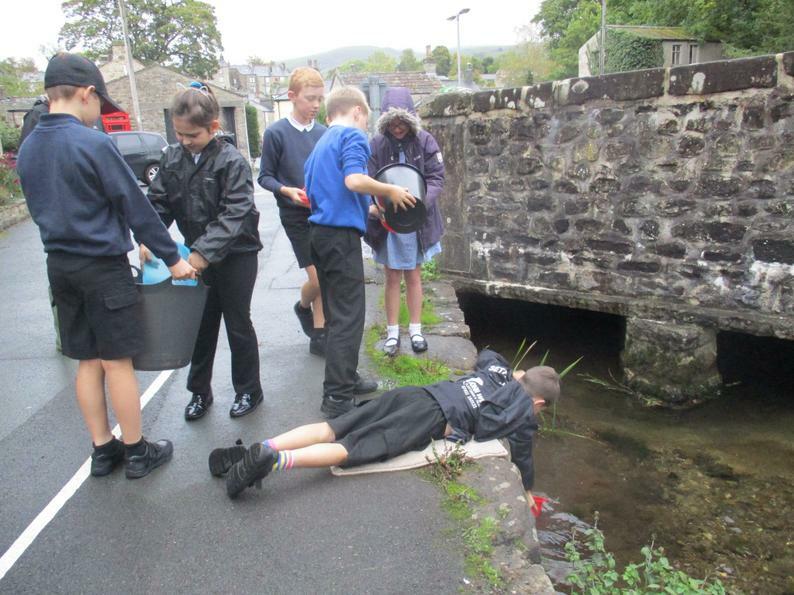 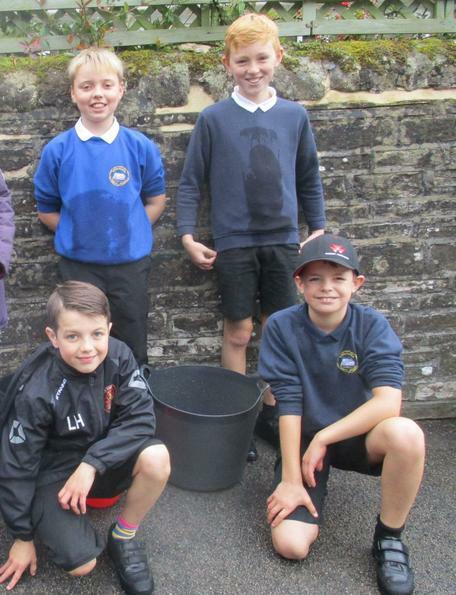 In order to try and empathise with children in some parts of the world, who do not have access to clean water and have to collect it on a daily basis, Class 3 pupils walked (the long way) to the nearby beck, worked collaboratively to collect some water and then staggered back to school with it. 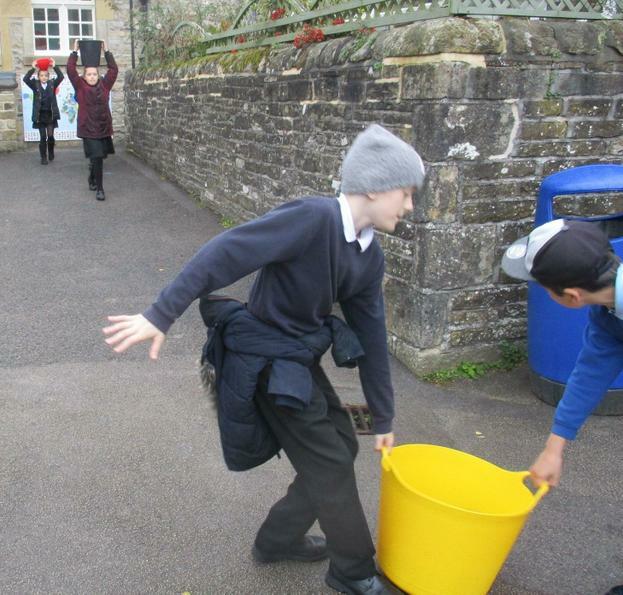 Then they measured the quantity collected and wrote poems about their experience. 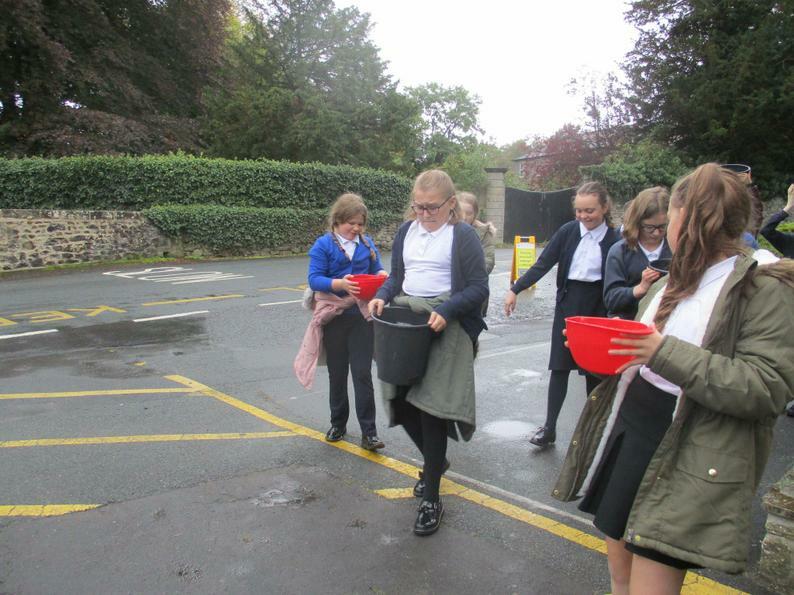 The following week, they presented their research in our Harvest Festival and raised £60 for the charity WaterAid.